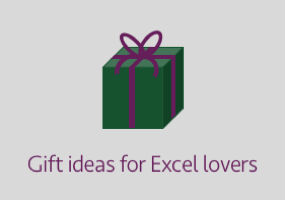 On 24 September 2018, Microsoft announced some new functions for Excel. 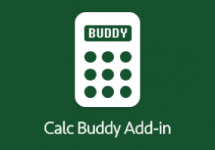 These new functions make use of changes made to Excel’s calculation engine, which enable a single formula to return (or “Spill” using the correct terminology) results into multiple cells. RANDARRAY is one of these new functions. The regular RAND function calculates a single random number which is greater than or equal to zero and less than 1. 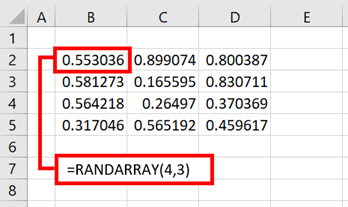 The RANDARRAY function calculates a random number in the same way, but the user can specify how many rows and columns of random numbers to return. [Columns]: The number of columns of random numbers to return. If this argument is excluded, the default is 1. [Min]: The lowest number to be returned. If excluded the default is 0. [Integer]: TRUE = return whole numbers only, FALSE = return decimal values to 15 decimal places. One attribute to be aware of is that RANDARRAY is a volatile function. This means that it will recalculate every time any cell changes. If you’ve used the RAND function before, this functionality will not be new to you. 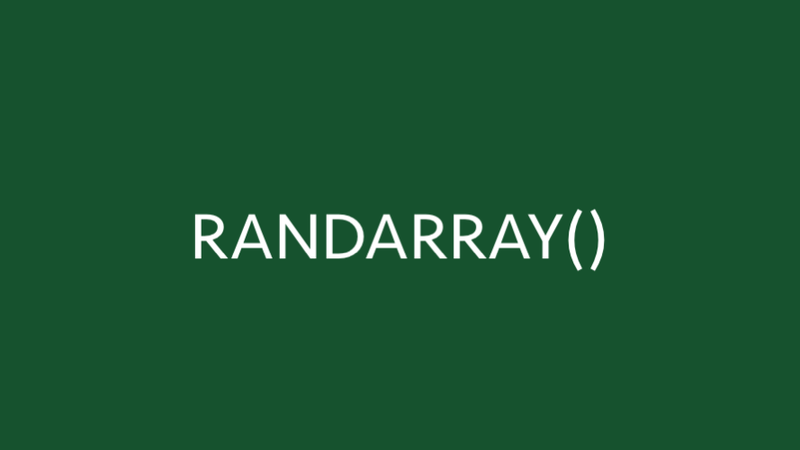 The following examples illustrate how to use the RANDARRAY function. In the screenshot below, we see a basic example of using the RANDARRAY function. 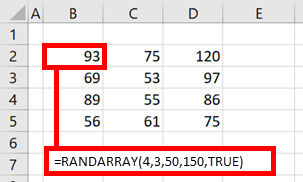 The formula above creates an array of random numbers which is four rows and three columns in size. 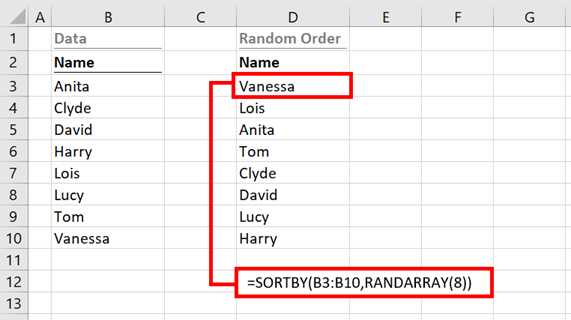 This example shows how to turn a sorted list into a random order. RANDARRAY(8) is creating a list of 8 random numbers SORTBY is then putting Cells B3-B10 into the order of the random numbers. In the screenshot below, we can see all the arguments of the RANDARRAY functions. The formula will create an array of results which is four rows, three columns, minimum of 50, maximum of 150, with only whole numbers.